Everyone loves a good horse betting system. Ez Horse Betting believes that the best systems are the easiest ones to master. You don’t need complicated mathematical formulas to pick winners at an online racebook. All you need the willingness to put in some time studying your favorite race circuit. Here is a study system for betting horses online that can put money in your pocket. What is a Horse Racing Study System? A study system like the one we are going to describe requires that you put in some time studying the horses, jockeys, and trainers on your favorite racing circuit. Unlike devouring past performances, you will use the information you compile during your studies to make informed bets on horses. This information will be your sole guide. It might sound like a lazy way to handicap races but it is anything but. To study a racing circuit means that you’ll be making many notes and watching a lot of race replays. But, the experience can be fun. Even better, the information you glean from your studies will soon become ingrained in your memory. You will find that you don’t need to refer to your notes as often once you have used the system for a while. The very first thing you are going to need to use this horse betting system is an account with an online racebook. This system is especially designed for use at online racebooks. Why? Because at an online racebook you are not limited to using the system at race tracks in your area. 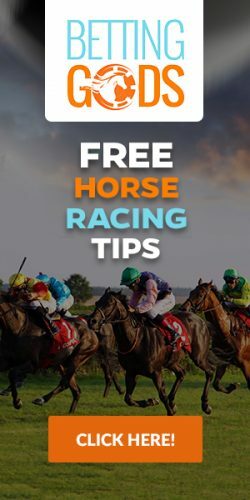 You can use it at any race track in the country when you bet online. EZ Horse Betting has recommended several racebooks that will give you a good experience. Obviously, you also need a way to access the racebook. You can do this with a computer, phone, or tablet. Next, you need to procure a notebook. An ideal choice would be a 5-subject spiral notebook like those found at your local retail store. If you happen to look for one around July or August, you’ll find that many stores have them on sale with school supplies. Stock up on a few of them if you can. You’ll need a separate one for each racing circuit that you follow. The only other requirement are some pens, pencils, and highlighters if you want to get fancy. Once you have all the things you need, it is time to begin analyzing your racing circuit and making notes. Some people are fortunate enough to live close to a large race track. These individuals might be able to attend the races every day and purchase a racing form for their local track. The form will have all the information they need. Unfortunately, this doesn’t work for everyone. More people live in areas where attending live racing is not possible. That’s the beauty of betting horses online. It’s like having every race track in the America and many around the world right there in your neighborhood. The first step of the Horse Racing Study System is to pick a circuit that you will focus on. This racing circuit is where you will ultimately place your bets. Choose the circuit wisely and this system will work for you. There are many reasons for choosing a smaller circuit to use with this system. Most importantly, the smaller tracks have fewer shippers. The horses, trainers, and jockeys who race at the smaller tracks don’t tend to move around like they do at larger tracks. The races at smaller venues can also be less competitive. Most importantly, there are certain horses, trainers, and jockeys on smaller circuits who seem to dominate year after year. This is what you’ll be looking for with this system. After you choose your racing circuit you will need to become familiar with the race dates it hosts. Tracks do not race year round. So, you might want to follow one track in the summer and one in the winter. If you are able to obtain race charts for the previous year at your chosen track, great! You can sometimes find these charts for sale from Brisnet or the Daily Racing Form. You could study the charts from the previous year while you are waiting for the new meet to begin. It is more likely that you will be starting from scratch. You will find it most convenient to begin from day one of the race meet. If not, you will need to go back and get the results from the days of racing you have missed. Now, let us take a look at each section in more detail. In this section of your notebook you are going to record the name of each horse that races on your chosen circuit. You will list the name of the horse, its trainer, and it’s current record at the race track. List the race record like so: Starts, Wins, Seconds, Thirds. So, if a horse starts in five races during the current meet, wins one, and finishes off the board in the others, this is what the horse’s record will look like in your notebook: 5-1-0-0. You will know at a glance that the horse has won one time in five tries, and in all other races was worse than third. Not necessarily a race record that would inspire a big bet. You will also want to leave a section for notes that you make on each horse. You may write down that the horse recently added blinkers or bandages, was unruly in the saddling paddock, or stumbled out of the gate in its last race. Whatever information you think is relevant, make a note of it. You will then repeat this process for trainers and jockeys. Each day you will update your notebook to reflect the most recent stats. Race tracks do not have races each day of the week. They will generally have two dark days in which no races are contested. Some handicappers prefer to assemble charts during the week and update their notebook on the track’s dark days. This is a matter of personal preference. As the pages in your racing notebook begin to fill up, you will start to observe certain patterns. You may notice than Trainer A wins more often on the grass than he or she does on the dirt. Perhaps Jockey B wins a lot at short distances but fails miserably in route races. Horse C might like to run on a muddy track. The patterns you see will form the basis of your betting angles. Here is an example. You notice in your notes that Trainer A has started five horses that were two years old. He has won with three of them. You can make money with this one simple angle. The next time you see Trainer A enter a two-year-old, bet the horse. Does this sound too simple? Maybe so, but bettors at Keeneland in Kentucky have been using this ange for years to bet the horses trained by Wesley Ward. Ward, a former jockey, is especially good at getting two-year-old horses to run their very best the first time out. This is because Ward does not enter the horse until they are ready to win. The number of angles you can create from your notes is endless. Somewhere in those pages there will be information that other bettors do not have. This is the information you need to make you a winner. The notes section of your notebook might be the most valuable of all. This is where you will jot down peculiarities that you observe at your favorite race track. Perhaps you notice that when it rains and the track is muddy, horses on the inside closest to the rail finish better than those outside. Maybe when the track is dry and hard the horses on the front have an easier time remaining on the lead. There is no end to the observations you can make. Be alert and pay attention. The smallest details are what can make you a winner at an online racebook. Are you ready to start studying? Sign up today for your racebook account and you will get a nice welcome bonus in addition to many other benefits.